In my last article I presented some indications that all three of the figures appearing in Knock – Our Lady, St. Joseph and St. John – are alive. In short, I first mentioned the infallible dogma of the Assumption that declares Our Lady to be alive and in Heaven and, then, some compelling indications to the same effect concerning St. Joseph. The tradition of St. Joseph being resurrected after death is also documented with testimonies of Saints by Dr. Remi Amelunxen in his book The Great St. Joseph (1). Most of that article, however, addressed the figure of "the bishop,” St. John, and I reminded my reader of some traditions and texts of Sacred Scripture supporting the idea that he too is alive or, at least, could be alive. Today, I will present some quotes from Saints, Doctors of the Church and theologians favoring this hypothesis. These few quotes sufficiently demonstrate, in my opinion, that “the bishop” St. John is believed to be alive according to some respected theologians. “This is not to be believed; since he died and was resurrected – in body as well. And the sign of this is that his body was not found and, thus, it is with the blessed with Christ” (2). “As for the fact that St. John will return and will prophesize at the end of the world, there are serious Doctors from the past and even some in our time who are of this opinion” (3). Cornelius a Lapide cites in particular St. Hippolyte, Ambrose, Catarino, Salmeron and Barradio. According to these doctors, St. John, like Enoch and Elias, would not have died, but would have conserved his mortal body and will return to preach against the Antichrist, from whom he would suffer martyrdom. “It is true that the Scripture teaches us in general terms that all men must die and that no one can be freed from death; but it does not say that all men are dead, nor that all those who lived have already died. And the contrary, it exempts some, like Elias, who, without dying was carried away by a chariot of fire, and Enoch, who was taken away by Our Lord before he suffered death, and even St. John the Evangelist, as I think to be most probable, according to the word of God (Jo.21:22)” (4). There have been a number of studies on this matter throughout Church History, but I believe these few quotes shown above are sufficient to prove that prominent theologians of the Church believe St. John is alive. The faithful are suffering greatly in the increasing chaos that has an official landmark in Vatican II. The changes in the teachings, Sacraments and ceremonies are causing such confusion that some are beginning to doubt that the Apostolic Succession of Bishops is still effective. 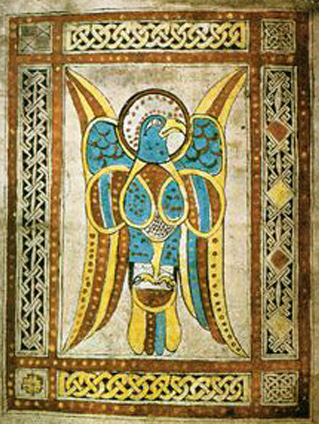 But, if there is an Eagle (St. John’s symbol) flying over the ages ready to appear and confirm the Apostolic Succession, if Our Lord has left an Apostle and Bishop to be a guarantee that at least one Bishop is completely faithful in the Catholic Hierarchy, then shouldn’t this be a source of great joy to the faithful? I Mary McLoughlin, live in Knock; I am housekeeper to the Rev. 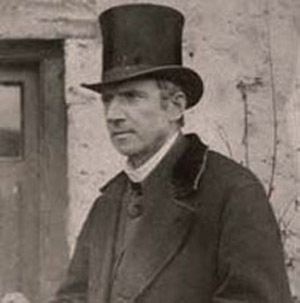 Archdeacon Cavanagh. I remember the evening of the 21st August; at the hour of seven or so or a little later, while it was yet bright day, I passed from the Rev. Archdeacon’s house on by the chapel, towards the house of Mrs. Byrne, widow. On passing by the chapel, and at a little distance from it, I saw a wonderful number of strange figures or appearances at the gable; one like the Blessed Virgin Mary and one like St. Joseph; another a bishop; I saw an altar. I was wondering to see there such an extraordinary group. Yet I passed on and said nothing, thinking that possibly the Archdeacon had been supplied with these beautiful figures from Dublin or somewhere else, and that he had said nothing about them, but had left them in the open air. I saw a white light about them. I thought the whole thing strange. After looking at them, I passed on to the house of Mrs. Byrne’s in the village. After reaching widow Byrne’s house I stayed there half an hour at least. I returned then homewards to the Archdeacon’s house accompanied by Miss Mary Byrne, and as we approached the chapel, she cried out “Look at the beautiful figures.” We gazed at them for a little while, and then I told her to go for her mother, widow Byrne, and her brother and her sister, and her niece who were still in the house which she and I had left. I remained looking at the sight before me until the mother, sister and brother of Mary Byrne came. At the time I was outside the ditch and to the south – west of the school – house near the road, about 30 yards or so from the church; I leaned across the wall in order to see, as well as I could, the whole scene. I remained now for the space of at least a quarter of an hour, perhaps longer. I told Miss Byrne then to go for her uncle, Brian Byrne, and her aunt, Mrs. Brian Byrne, or any of the neighbors whom she should see, in order that they might witness the sight that they were then enjoying. It was now about a quarter past eight o’clock and beginning to be quite dark. The sun had set; it was raining at the time. I beheld, on this occasion, not only the three figures, but an altar further on to the left of the figure of the Blessed Virgin Mary, and to the left of the Bishop and above the altar a lamb about the size of that which is five weeks old. Behind the lamb appeared the cross; it was away a bit from the lamb, while the latter stood in front from it and not resting on the wood of the cross. Around the lamb a number of gold-like stars appeared in the form of a halo. This altar was placed right under the window of the gable and more to the east of the figures, all, of course, outside the church at Knock. I parted from the company or gathering at eight and a half o’clock. I went to the priest’s house and told what I had beheld, and spoke of the beautiful things that were to be seen at the gable of the chapel. I asked him or said, rather, it would be worth his while to go to witness them. Remi Amelunxen, The Great St. Joseph, Los Angeles: TIA, 2008, pp. 81-84. 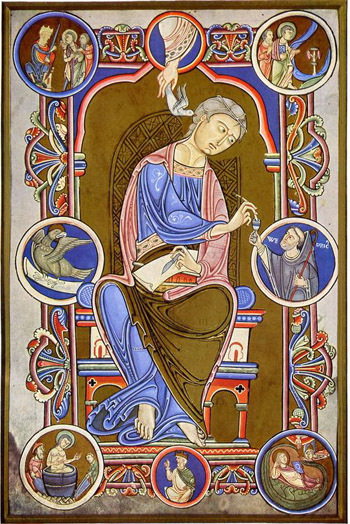 Cornelius a Lapide, Super Evangelium S. Johannis, lectura, Turim-Rome: Marietti,p. 487, n. 2647. Cornelius a Lapide, In Apocalypsin, Prologue. Oeuvres de Saint Francois de Sales, ed. Annecy, Book VII, 1896, p. 442 – apud Martin Jugie AA, La Mort et l'Assomption de la Sainte Vierge, Vatican, Biblioteca Apostolica Vaticana, 1944 p. 719.